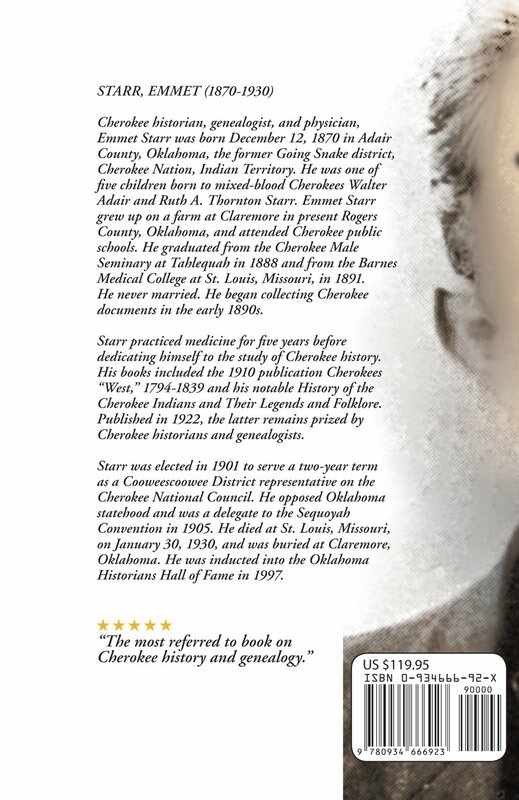 "History of the Cherokee Indians and Their Legends and Folklore"
Cherokee historian, genealogist, and physician, Emmet Starr was born December 12, 1870 in Adair County, Oklahoma, the former Going Snake district, Cherokee Nation, Indian Territory. He was one of five children born to mixed-blood Cherokees Walter Adair and Ruth A. Thornton Starr. Emmet Starr grew up on a farm at Claremore in present Rogers County, Oklahoma, and attended Cherokee public schools. He graduated from the Cherokee Male Seminary at Tahlequah in 1888 and from the Barnes Medical College at St. Louis, Missouri, in 1891. He never married. He began collecting Cherokee documents in the early 1890s. Starr practiced medicine for five years before dedicating himself to the study of Cherokee history. 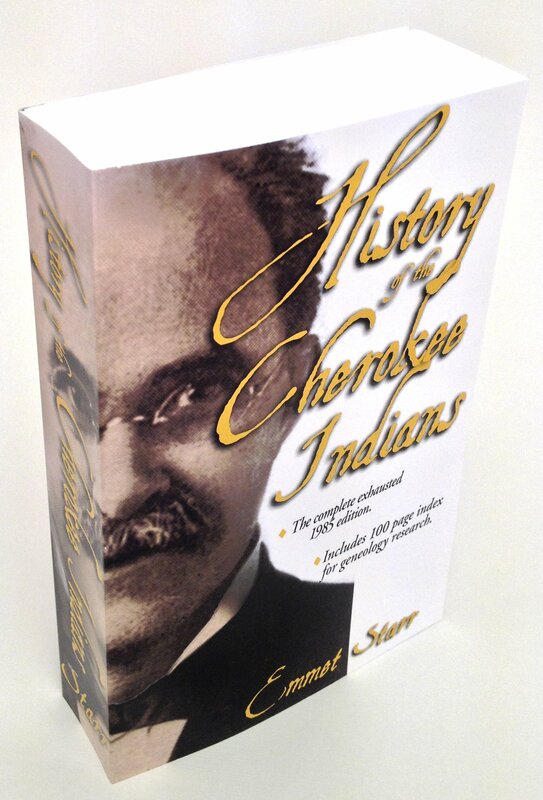 His book notably..."History of the Cherokee Indians and Their Legends and Folklore" was first Published in 1922. His Enhanced & "Expanded 1985 Special Edition" with added 100 page Index (Hoffman Printing) became the desired tool for genealogist looking into Cherokee heritage... the latter remains prized by Cherokee historians and genealogists. This is that enhanced edition by the original printer & publisher, Hoffman Printing with enhanced pictures and copy!